Not a favourite scheme of mine but useful as a contrast to the gun-metal drones. Probably the reason for my lukewarm attitude to them was that it coincided with the continued marked decline in Doctor Who as producer John Nathan Turner’s lack of respect for the series snowballed and in a mirror image of himself from the outset he sacrificed quality content for effects, naff incidental music and camp outfits. Terry Nation had long since stood down concentrating on his new excellent Space Opera “Blake’s 7” and letting others take on script writing duties for his original inventions To be fair they probably needed to do something new as the original best ideas had all now been used up. 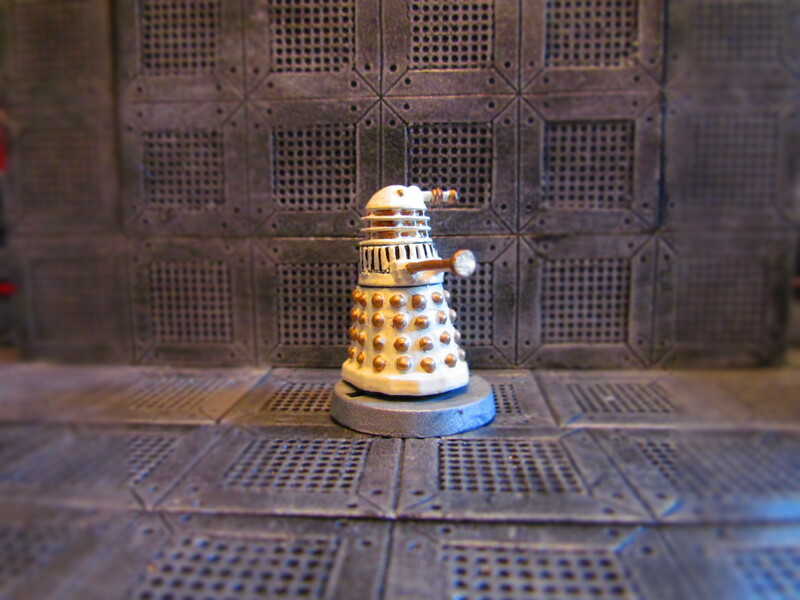 Sadly translating most of the innovative stuff from script to screen got the full on JNT treatment along the way and we ended up with laughable Human Dalek troopers, Joan Collins shoulder pads and a reliance on a more than once resurrected Davros. 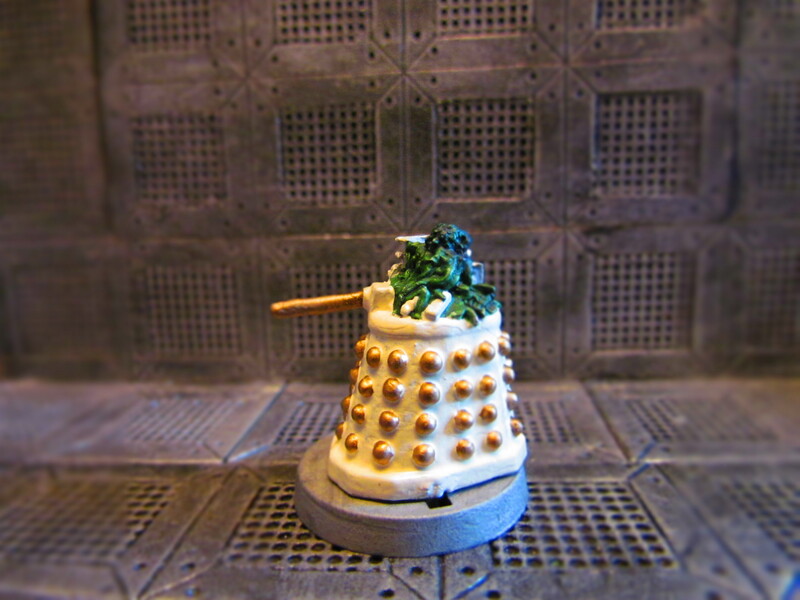 That said some ideas did work, the embryonic Dalek for example. So first appearing in 1985 in the Season 22 finale Story 6Z “Revelation of the Daleks” these machines were loyal to Davros and became known as Imperial Daleks. 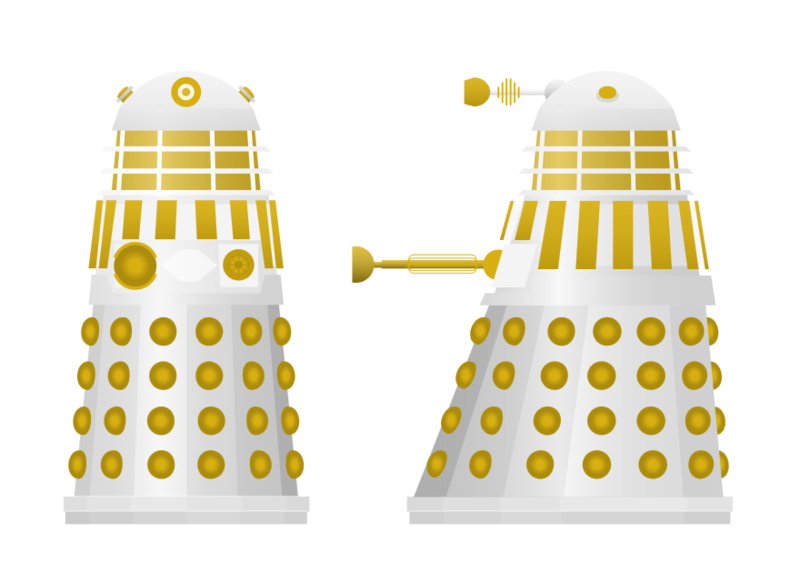 This differentiated them more than just colour during the Dalek Civil War against the aesthetic gun-metal grey ones that were subsequently referred to as Renegade Daleks. 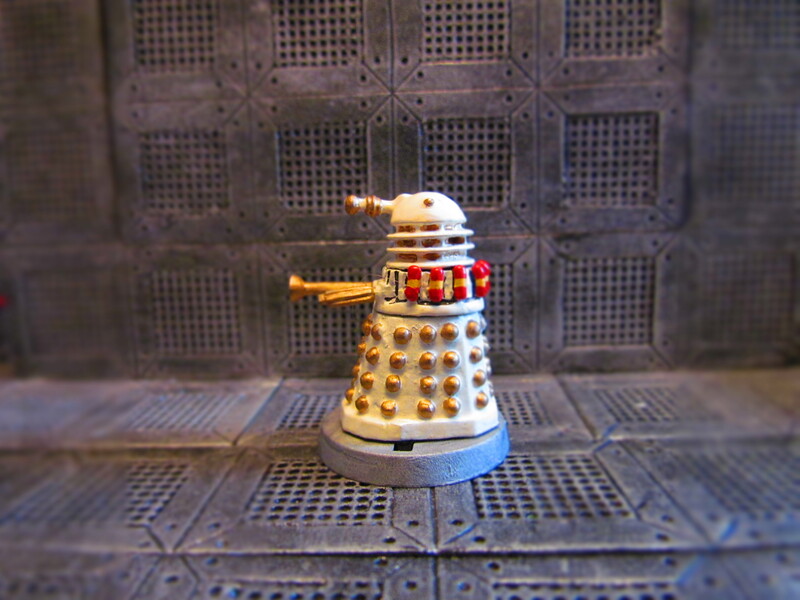 From this point in the Classic series there were these 2 factions with the Imperials led by Davros taking on the title of Emperor and the Renegades led by a Supreme and maybe a behind the scenes an alternative/Anti-Emperor? They returned with slightly modified lights and other cosmetic changes in 1988 in Season 25’s Story 7H “Remembrance of the Daleks” which theoretically saw Davros’ and the Daleks final demise……..Again!